So - multiple rounds of copy editing have been completed. Files have been formatted, then formatted a few times, then a few times more for good measure! And now, here's the cover and the official description with some preview pages too! 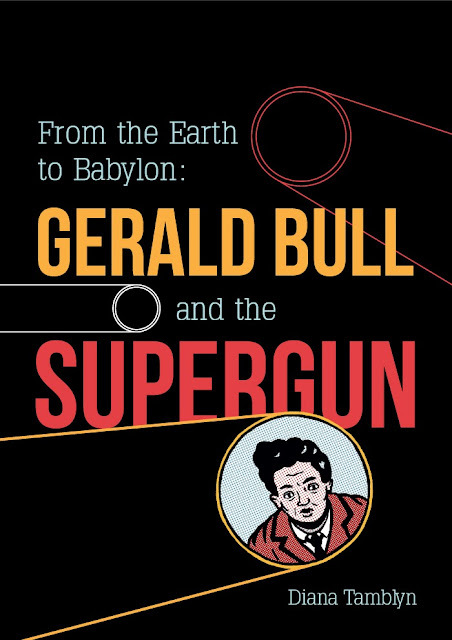 Mixing the fascinating approach of historical journalism with a mesmerizing biography comes the wild and crazy, true story of Gerald Bull. 88 pages, B&W interior, colour cover. Book 1 of a 2 volume series. The book can also be purchased at Heroes and LA Mood in London, Ontario, and Strange Adventures in Halifax. Sometime before Christmas the book should be available a few months later via online channels like Amazon, and the websites for Barnes & Noble, Chapters and Waterstones thanks to distribution through Comet Press (an imprint of Starburst). I'll be posting more detailed information on dates and availability as I have it. Congrats! I'm in for a copy! The cover looks great Diana! I need a copy! Looks good Dee! I've ordered my copy from your website. All my best for the holidays and hope you and your family have a great 2014!